November 6, 2017 | Robert Handfield, Ph.D. The Supply Chain Resource Cooperative held its first ever “Executive Roundtable on Excess and Obsolete Inventory” on the NC State campus on October 25, 2017. The event was attended by 25 executives from a variety of different industries and backgrounds. Inventory Management Partners sponsored the event, and helped to bring together the format and content for the discussion. The objective of this session was to openly discuss some of the challenges that exist in managing this over-looked asset, and begin to shine a light on approaches that can be more effective in dealing with the issue. After much discussion, the executive roundtable identified a number of approaches that were deemed necessary to deal with E&O. In the end, excess and obsolete inventory occurs because of mistakes, mis-aligned decision-making, and lack of consideration of the cost of inventory in countless decisions, including product design, sales forecasting, sales and operations planning, and lack of awareness. The following issues are some of the suggestions executives identified. The SCRC will be working further on these challenges in the coming months, and explore them in greater detail. Assign Accountability. 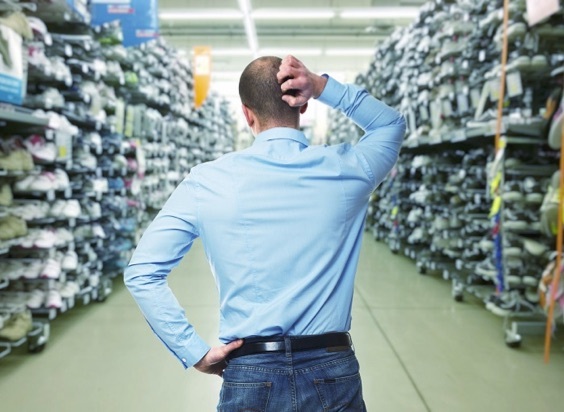 Executives need to deal with inventory issues as they arise! Organizations need to be proactive about how to avoid making the decision, and when it does occur, immediately seek to address the issue. Can it be used somewhere else, or can we assume we won’t use it and absorb that cost into the business and recognize it? Design products with the end of life cycle in mind. Ensure that engineers are more aware of how design parts left over at the end of the product life cycle will consume working capital, and train them on these costs. For example, Huawei had a component engineering team reporting into procurement, and they were responsible for dicating components that went into every line of business to ensure maximum flexibility for usage of parts. They forced component engineers to pull designs from existing baskets of parts, which addresses many of the problems with complexity and avoiding unique parts. Management awareness of E&O impacts. Is there a senior management team committed to driving down Excess and Obsolete inventory levels. E&O should be viewed as pure cash. For example, more and more companies are establishing incentives for sales people who now earn part of their bonus based on how accurately they forecast to the SKU level, not to the planning level (which aggregates many parts and which is relatively stable and easy to forecast). Planning and Sales communication. There needs to be important communication channels between planning and sales managers. The discussion could include a dialogue that includes a discussion such as “how real is your forecast? (I won’t expose you)”. Sales people tend to load their forecasts by as much as 10%, which drives the MRP orders. There needs to be a one to one relationship between sales and demand planning to ensure complete transparency and real-time communication. Change sales incentives. It also helps if sales team bonuses are tied to inventory and tied to budget on S&OP’s. Metrics on sales forecasts not only on final shipping, but on configuration and BOM accuracy is an important element. Customer-named accounts and configurations can help to improve sales accuracy, and to drive accountability for how the inventory was generated to a specific customer order and sales person can drive accountability six months down the road. Sales people will change their behaviors under these conditions. Develop an E&O narrative. There needs to be a story constructed around how inventory is generated, and accountability for the inventory, to drive out the buffer planning behavior that occurs. There needs to be reviews of min-max cycles, minimum liability planning on configured products, and intelligence narrowing of the product portfolio as a result. Product design standards and ownership is key. Focus on forecasting performance for mix, not final product. Forecasting performance analysis should be used to understand the strategy around what products/components will be consistently inaccurate. At one company, leaders challenged managers to understand people are ordering parts, and performing a deep analysis on what parts were driven into the supply chain through poor planning activities, which can help to prevent such problems from recurring. A pilot project was done to look at service parts through tier 2 components, what was being purchased, the MOQ’s, and having suppliers share what they were seeing vs. what was being ordered. Opening up discussions with partners on leadtimes, inventory levels, and forecast accuracy can start to open up the discussion. Measure life cycle inventory cost. A planning process in the design stage can also help to build in the cost of inventory early on. A best practice at one company is to establish during the design phase the life cycle cost for components, and define the total life cycle cost of having ANYTHING in inventory over the life of the product. At least setting a planned number makes sense and can enable a category strategy around that target to be established. Evaluate decision impacts related to E&O. There also needs to be some work around the cost of decisions and their impact on inventory. What is the cost of an engineering change and the resulting E&O cost? What is the cost of a new product and end of life inventory write-offs? Development cost of product should include tooling, supplier qualification, warehousing, and write-offs at end of life. Focusing on these costs can start the conversation going on cost of complexity. While there is no “silver bullet” to resolving the E&O problem, awareness and focus across business functions, and the real impact on working capital and profitability needs to be clarified and measured against desired actions and strategies that are unknowingly the cause of many of the problems.